The government’s constant talk of handouts has stirred greater social demands, which combined with electoral fiscal imprudence can easily reverse what the country and its people have achieved until now. The protracted electoral climate is becoming increasingly repugnant. Confronted by a public that is disappointed and pressured by the huge economic burdens with which it has been saddled, and which is not impressed by his small handouts, Mr. Tsipras has resorted to the only tactics that he knows – divisive attacks against all and sundry and scandal-mongering – in an attempt to keep his head above water. The wear of governance that he and his government have suffered is now aggravated by the indications of scandals regarding his closest advisors. In one fell swoop his efforts to target the “old” political system boomeranged. 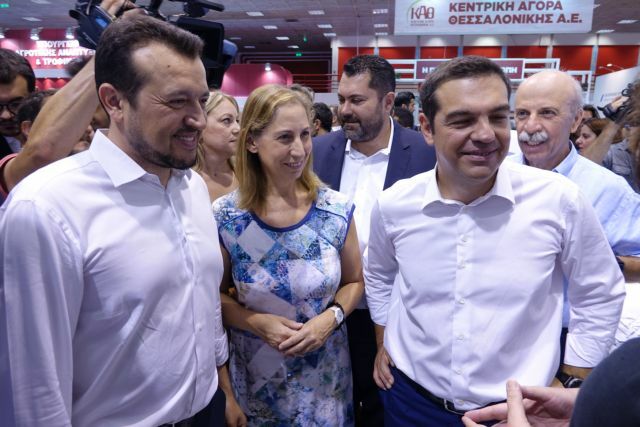 The arrogance of power is now glaringly obvious and the PM is adopting the crude and provocative tactics of his alternate health minister, Pavlos Polakis, in dealing with his political opponents. The economy and society cannot withstand an extended electoral period with mudslinging, polarisation, and divisions. Despite the steps that have been taken, the country is at a crucial juncture, at which it is very easy to slip into a crisis once again. There are no security valves any longer, as the European partners are preoccupied with their own problems and are doing anything possible to extricate themselves from the Greek question. The markets remain unapproachable due to high interest rates and the cash buffer that was created so that the Europeans can withdraw from the Greek issue for two years has absorbed cash reserves and deprived the economy of desperately needed liquidity. Meanwhile, the government’s constant talk of handouts has stirred greater social demands, which combined with electoral fiscal imprudence can easily reverse what the country and its people have achieved until now. The odd couple in the SYRIZA-Independent Greeks coalition, however, appears to be interested only in its own survival. It is indifferent to the consequences of its actions on the country. Its attention is focused constantly on opinion polls, so that it can choose the most suitable time to call elections, in a bid for political survival. 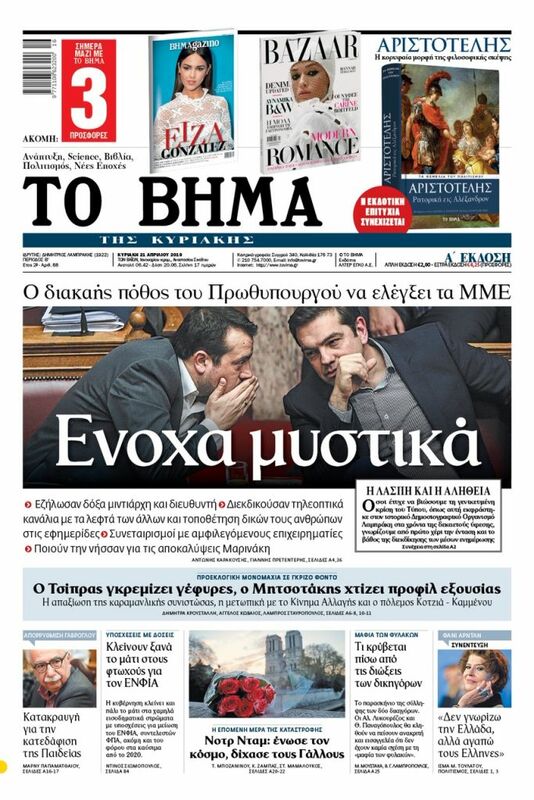 Alas, the interests of the country and of Mr. Tsipras do not coincide. The only solution is to put an end to this divisive climate and to the uncertainty that is keeping the economy down by ending the electoral cycle as swiftly as possible, because each day that passes creates more problems than it solves.